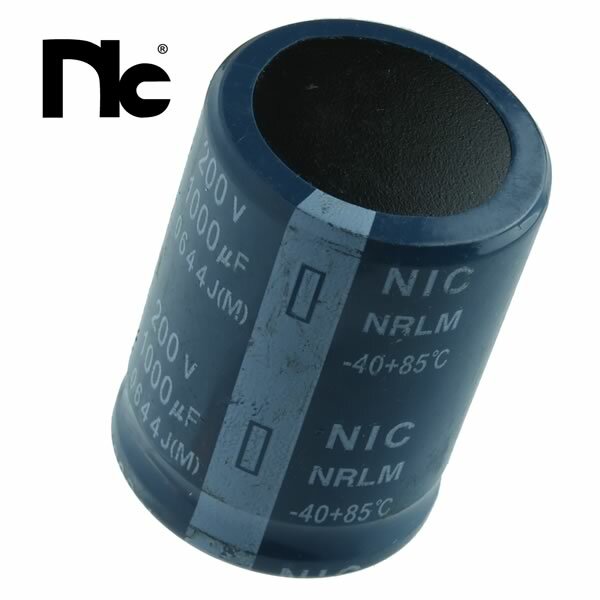 NIC 1000uF 200VDC "snap in" electrolytic capacitor is 1.18" diameter x 1.6" tall. Rated 85°C. Has 2 radial PC leads.